Jewelery Paspaley released a bold collection, Flutter by Paspaley, in 2009. 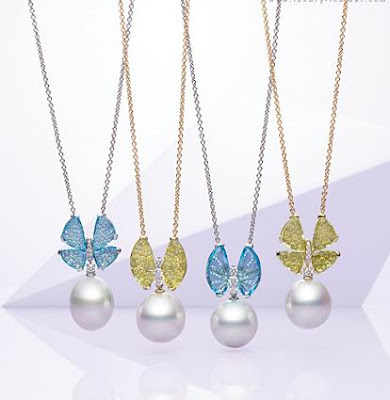 Inspired by the butterfly, this graphic collection is a celebration of spring, with yellow citrine and blue topaz creating a striking color profile. 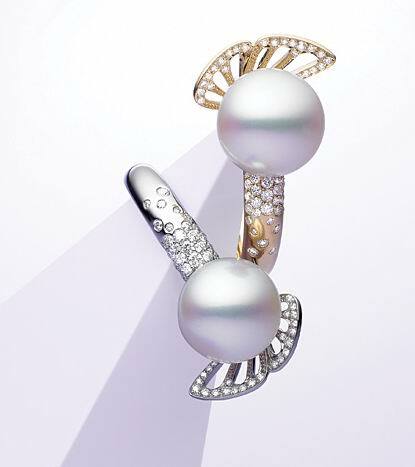 Flutter sets these colorful gems on top of pavé and set diamonds to extraordinary effect, layering the transluscence and sparkle of diamonds to offset the soft glow of the Paspaley pearls. The butterfly works is expressed design ideas that the Flutter collection in clean, modern shapes, from full butterflies to single wing variations. 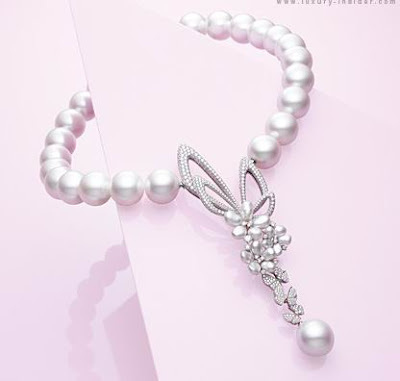 The Paspaley pearls have appeared in many other occasions, from strands to single pearls. 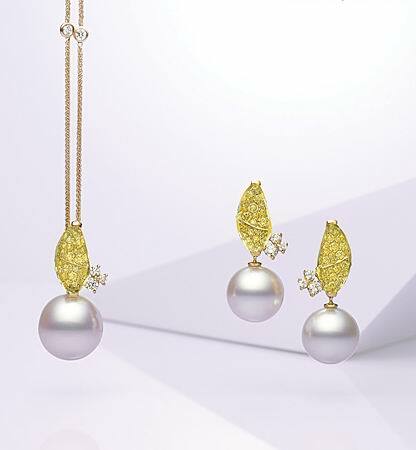 Flutter collection is available sale in Sydney Paspaley boutiques, Melbourne, Darwin, Broome, Dubai, Abu Dhabi and Hong Kong etc.